How many Women's Institutes existed in Ontario in the twentieth century? 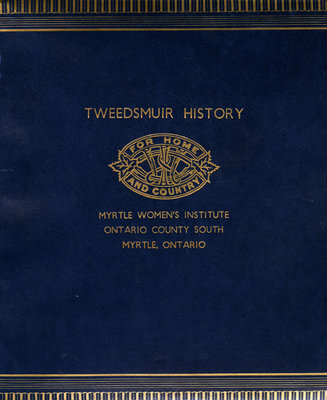 The Myrtle Women's Institute Tweedsmuir History is a scrapbook providing an account, in narrative form, of the settler history of the Myrtle region of Whitby. This Tweedsmuir History also provides information about the history of the Myrtle Women's Institute chapter, which was operative from 1955-1985. Myrtle Women's Institute fonds (F20) box 02, file 02.